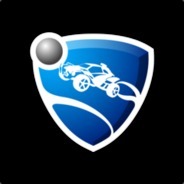 Steam group for the Rock, Paper, Shotgun Rocket League community. Please use the forum for discussions, join our mumble server to talk with one another and finally please support RPS. The RPS RL World Cup! Interested in getting involved in some Rocket League knockout tournament action? Then don't delay! Head over to the group discussion boards (link below) and check out how it'll happen and what to expect! Dont forget! You can post on the discussion board and have your say on what you'd like to see the group do next! With the deadline bell tolling at midnight last Sunday, the first ever RPS RL Season has ended. I'd like to send out a big thank you to all of those who made it happen and i hope that people enjoyed it! The next season wont be happening until the new year, so there's plenty of time to practice and form up a team! In the mean time, i'm thinking of something different that everyone can take part in. Watch this space for details! is anything happening in this group anymore? Hi I'd like to join the group please. Long time RPS reader, looking for some teammates and a bit of league action. I think I've signed up for 2v2 and 3v3 on the spreadsheet i saw on a link from RPS but that may have been way out of date. Trying to install mumble right now... seems to have a problem as it was previously installed on a HDD which failed, and now I can't remove the old version because it doesn't exist!